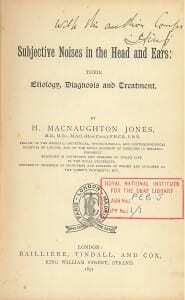 The Irish otologist, gynaecologist and ophthalmologist Henry Macnaughton Jones was the son of Thomas Jones, a doctor from Cork (see obituary for what follows). He spent most of his early career locally, founding the Cork Eye, Ear and Throat Hospital, which was later known as the Victoria Hospital. Moving to London in 1883, he concentrated on obstetrics and gynaecology. He married when he was only twenty-two, and in the 1911 census we can see that there were three surviving children. 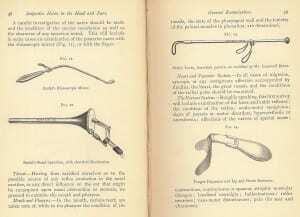 His obituary tells us that “His Handbook on Diseases of the Ear and Naso-pharynx passed through six editions”. 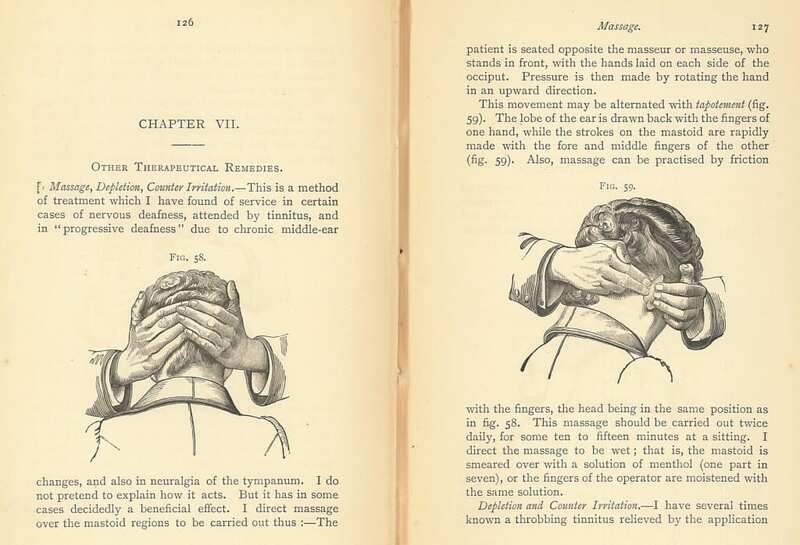 The book we are interested in today,Subjective Noises in the Head and Ears: Their Etiology, Diagnosis and Treatment was published in 1891. 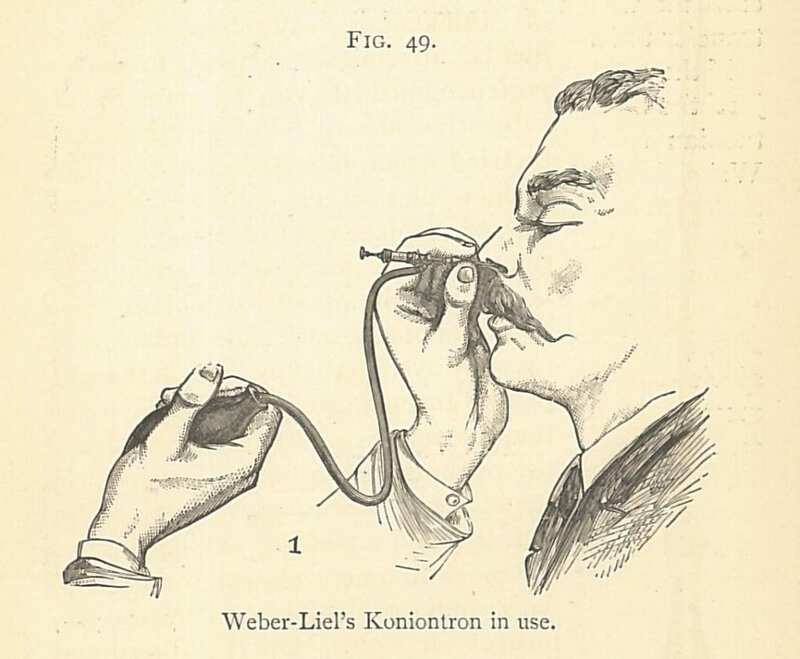 He dedicated the book to the pioneer ‘Father of Modern Scientific Otology’, Dr. Adam Politzer , who perused the text and “did not consider it necessary to add any notes to the work.” (Weir and Mudry, p.104, Macnaughton Jones, p.iv). Jonathan Hazell surveys this book, one of the few that cover tinnitus at that period. Macnaughton Jones follows on from Jean Marie Gaspard Itard (1775-1838), famous for his work with the ‘wild Boy of Aveyron’, as a pioneer of tinnitus research. If the surgeon is determine to try to inject the tympanum through the Eustachian tube, it is as well to use one of Weber-Liel’s tympanic catheters, with a Pravaz syringe. With this appliance, if the Eustachian tube be papent, we can safely inject the tympanum with the desired solution (vide “Handbook,” Fig. 46). With such forceps as that of Turnbull (Fig.50), we can easily mop the orifice of the Eustachian tube and the posterior nares with any solution we desire. I must confess that I do not of late resort to the use of chloride of ammonia vapour as frequently as I used to. Still, it is a remedy worth trying in those cases of tinnitus in which we have general naso-pharyngeal relaxation and accumulation of mucus in the naso-pharynx and the Eustachian tubes. It matters little which inhaler we use, provided we get the neutral fumes for imnhalation. 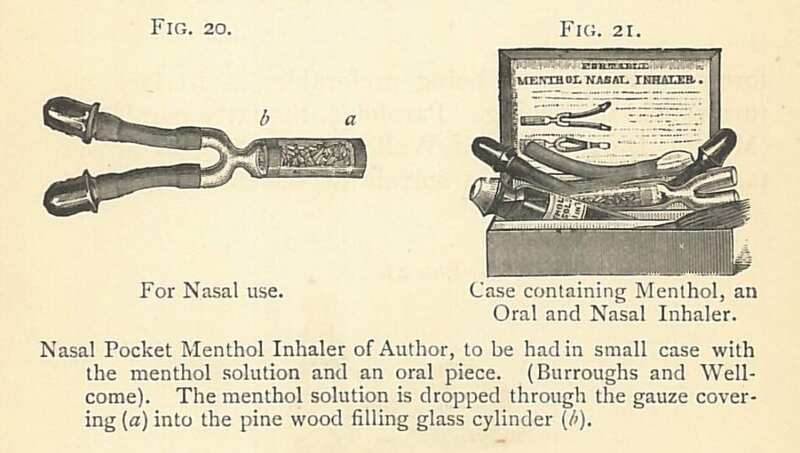 Kerr’s inhaler was one of the first used, and it is a very simple one. […] If we desire to pump some of this vapour or that of iodiner into the tympanum through the Eustachian tube, we can easily do so by means of my autoinsufflating bag. *Messrs. Corbyn, Stacey and Co.
We also see illustrated below, massage techniques, and he says that while “I do not pretend to explain how it acts, but it has in some cases decidedly beneficial effect”. 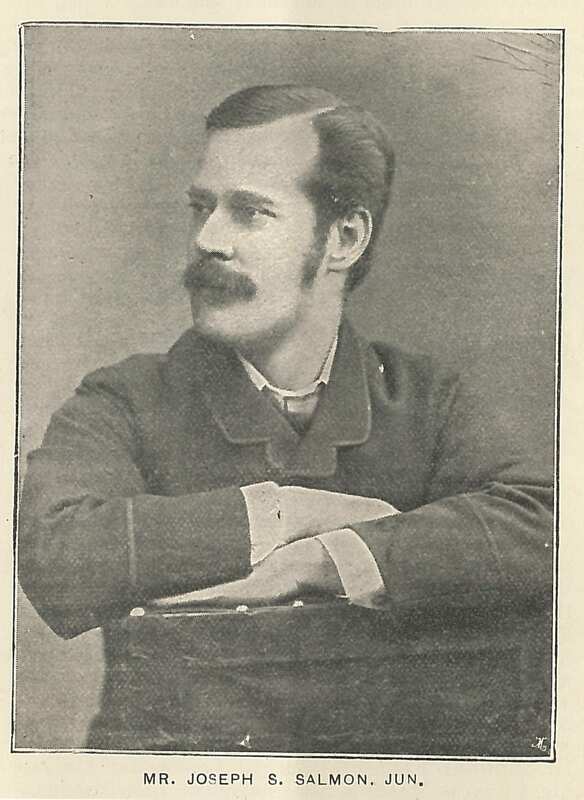 Macnaughton Jones died in Hampstead, in 1918. The Salmon family ran a tea and coffee merchant business in Reading in the 19th century. Joseph Smith Salmon was born in Reading in 1846, son of Joseph Smith senior, who had expanded into the tea trade from his grocer’s business. 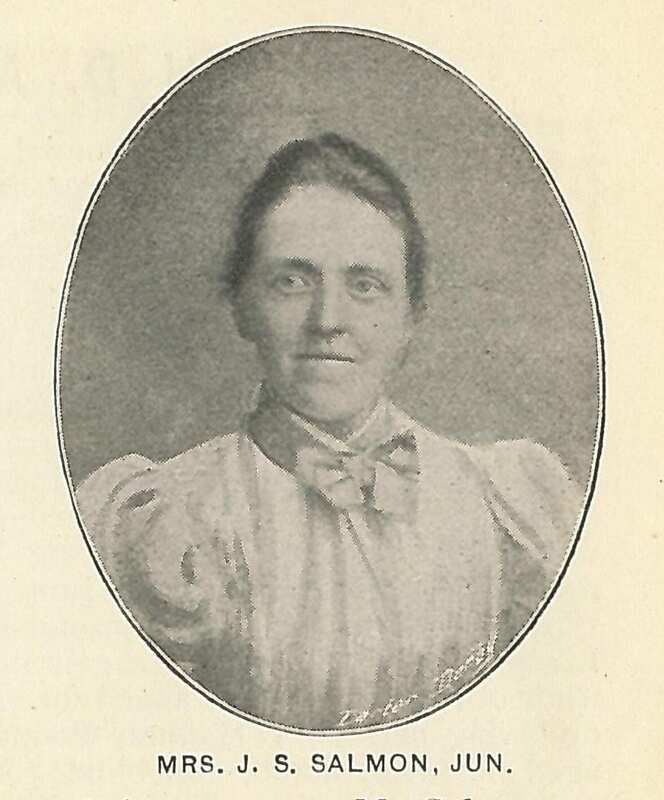 Joseph junior married Emmeline Foulger Tubbs in Stockport in 1878 (see Free BMD, Marriages Mar 1878 Stockport 8a 130). In neither the 1851 census when 5, nor the 1861 census when he was 15, was he described as deaf, however the article on him in Ephphatha from 1896 says that his hearing loss was from Scarlet Fever aged 8 (1854)*. In the 1871 census he is described as ‘Deaf and dumb from scarlet fever’. He was described as ‘Deaf and partially dumb’ in the 1881 census. He had been a pupil at the Old Kent Road Asylum from February 1857 until Midsummer 1860 according to school records (information via @DeafHeritageUK), which is how he would have known Dr. Elliott (see below). The Rev. 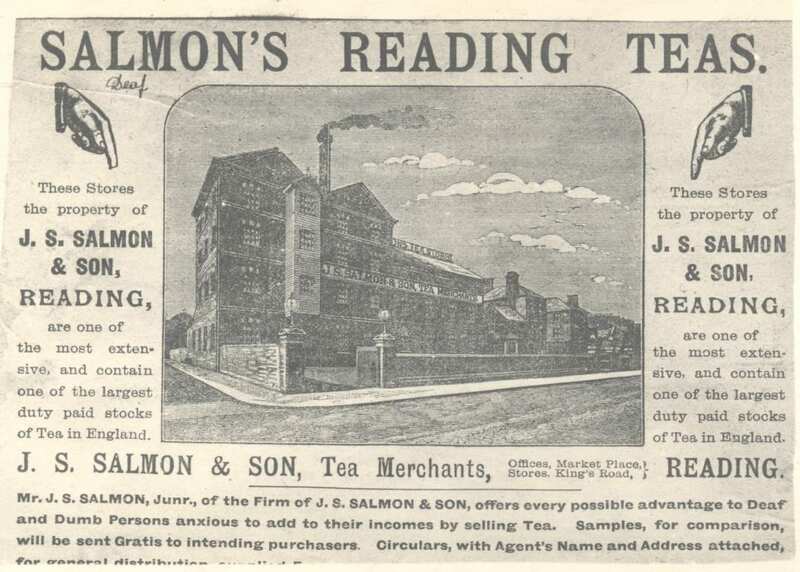 Gilby tells of a visit to Reading, where Salmon was starting a mission in the 1880s. “Joe Salmon” was a devoted follower of Matthew R. Burns, and I received an invitation to go to a tea-party of his to interpret the speeches. 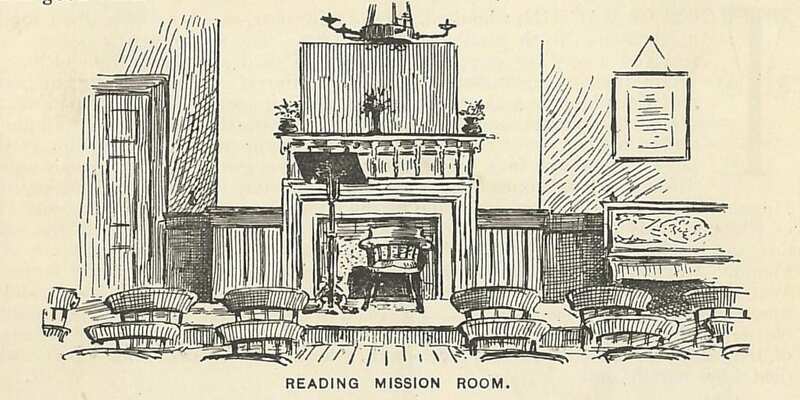 I accepted, and on Friday, 18th January, 1885, Mr. J. P. Gloyn, our North London Missionary, and myself went down to Reading from Paddington in the morning, saw the lions of the place together, and went to 11, Abbot’s Walk, where the Salmons then lived. Here we met Mr. Richard Elliott, of the Margate School, Mr. J. Barber, of Brondesbury (who took private oral pupils: a man of sincere religious fervour whom we all respected), Mr. A. Pine Lilly, a deaf printer from London, whom I afterwards came to know very well indeed. We were all taken to Mr. Salmon’s tea-party in carriages – to the Victoria Hall in King’s Road. Immense pains had been taken to ensure the success of the occasion : beef, ham, rabbit-pies, plum-pudding, trifle, crackers – all these things figured on the menu. There were only about forty Deaf, but there were 170 of their friends; and more came after tea. A Rev. – Tubbs (uncle of J. Salmon) said grace, and speeches were made, with Mr. Tubbs in the the chair. Mr. Ernest Abraham, now in Australia, turned up, and a magic-lantern show was given, which my diary describes as “childish”. ** Prizes were distributed to the Deaf grown ups for attendance, as if they were children; and Mr. G. Palmer, M.P., who came in late, said a word or two. Mr. B.H. Payne, of Swansea, also came late, and, like myself, slept at the Lodge Hotel at Mr. Salmon’s expense. In later years I attended similar parties, and remember meeting Dr. Stainer and Dr. Buxton at one of them, as guests of the Salmons when they had moved elsewhere in Reading. Joseph died on August the 12th 1896, aged only 50. He had long suffered terribly from noises in the head and polypi, and we were not very much surprised when it happened. He had called on us at St. Saviour’s about a fortnight before, in the company of his father, and hinted at it in the course of conversation. But as he was in the charge of his father we could only rally him cheerily and bid him dismiss such ideas from his head. His body was found in the Thames at Pangbourne in an up-right position, and his watch indicated the hour of the occurrence of the tragedy. He was a kind, but excitable man, and we felt great affection for him. 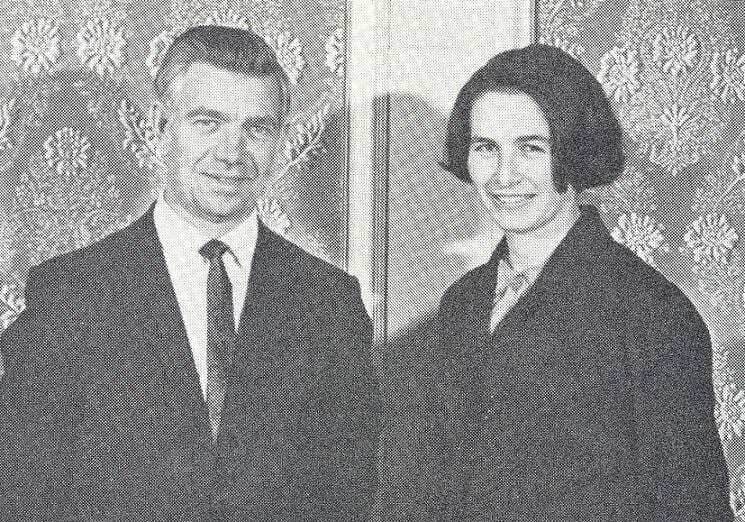 His son, Joseph Harold Salmon would have then been 18, and he had three daughters, Katherine, Gladys, and another daughter born in 1893, Doria Notcutt Salmon. One child died young. 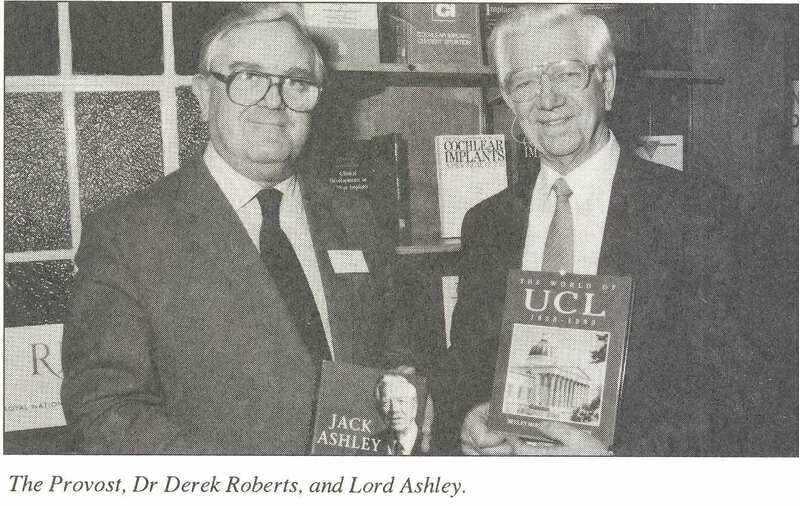 His father, Joseph senior was involved in an Old Bailey court case when he was younger, which explains the ‘Smith’ in his name – see here. Joseph Smith Salmon senior died aged 86 in 1907, and writing some thirty years later Gilby said that “Salmon’s Reading Teas were then well-known and liked but since Joe Salmon’s death little has been heard of them.” I wonder when the business finally folded, but suspect it was in 1907, as Joseph Harold was working for the Inland Revenue in 1911, living with his mother and youngest sister in West Norwood. It is very poignant that Gilby called him in Ephphatha, “One of the jolliest of men”, only months before his death (p.63). *Curiously, though not unusually, for these details depended on who wrote the details down and whether someone chose to reveal information, he was not described as deaf in the 1891 census, when he was living at 46 Eastons Avenue, Reading. **Gilby cannot resist a swipe at Abraham – see a previous post on Gilby. UPDATED 8/12/14 to reflect the Ephphatha article for which many thanks to @DeafHeritageUK ! Recently we had an enquiry about tinnitus prevalence. What follows is based on the information I uncovered trying to give an answer to that enquiry. The figures for tinnitus will depend on a number of factors, for example the type or duration of tinnitus, and demographics, the subjective nature of tinnitus, the type of questions you ask people when you do a survey, and so on. There will of course be other cautionary points to consider, such as the size of a sample, and other cultural or health related factors. That 35-45% of adults have experienced tinnitus of some type. About 15% of adults appear to have experienced spontaneous tinnitus lasting over 5 mins. At least 8% experience tinnitus causing interference with their getting to sleep & or moderate annoyance. “This would suggest about 4 million adults in the UK being affected”. 0.5% report their tinnitus has a severe effect on their ability to lead a normal life “this amounts to 200,00 persons in the UK”. About 10.1% of adults experience prolonged spontaneous tinnitus. 5% reported sleep disturbance. There was a considerable overlap with tinnitus annoyance such that 6% suffered either sleep disturbance or moderate-severe annoyance or moderate-severe annoyance or both. The prevalence rate for a severe effect on quality of life was lower than those who had moderate-severely annoying tinnitus at about 1%. That increased age was important – 4.3% tinnitus in the in 17-30 age group, 15.8% in the 61-70 age group. Slightly more females than males had tinnitus (p.12-13). That there is a 10.1-14.5% prevalence, and up to 22 to 32% if the criteria are relaxed to include occasional tinnitus following noise or the common cold. That 3-4% of adults consult a family doctor about tinnitus at least once in a lifetime with a similar percentage consulting about a hearing problem and tinnitus, “an indication of the magnitude of the problem”. It seems to me it would be better if people stuck with, and quoted, percentages at a certain date/place where an article gives them, rather than trying to extrapolate for the population to best guesses in the millions. There are some interesting new articles on tinnitus from the April issues of various journals, looking at mechanisms and masking.. The first of the articles below (see PubMed) looks at tinnitus generation. The researchers confirm a relationship between tinnitus pitch and maximum hearing loss, suggesting it is ‘a fill-in-phenomenon resulting from homeostatic mechanisms’. The second article aimed ‘to define factors that differentially influence subjectively perceived tinnitus loudness and tinnitus-related distress’, and concluded that ‘Subjective tinnitus loudness and the potential presence of severe depressivity, anxiety, and somatic symptom severity should be assessed separately from tinnitus-related distress’. The third article looked into a form of tinnitus masking – ‘Our results suggest that, in addition to a traditional masking approach using unmodulated pure tones and white noise, modulated sounds should be used for tinnitus suppression because they may be more effective in reducing hyperactive neural activities associated with tinnitus’. The fourth article also investigates masking, ‘to reduce tinnitus loudness by exposing chronic tinnitus patients to self-chosen, enjoyable music that was modified (“notched”) to contain no energy in the frequency range surrounding the individual tinnitus frequency and thus attracting lateral inhibition to the brain area generating tinnitus’. The last article which is quite technical, used animals to model what happens on the ‘brain side’ of the auditory pathway with tinnitus. They say that ‘hyperactivity in the central auditory system is one of the major physiological hallmarks of animal models of noise-induced tinnitus’, and investigated how one part of the system might contribute ‘to hyperactivity at higher levels of the auditory system’. 1. Relationship between Audiometric Slope and Tinnitus Pitch in Tinnitus Patients: Insights into the Mechanisms of Tinnitus Generation. Schecklmann M, Vielsmeier V, Steffens T, Landgrebe M, Langguth B, Kleinjung T.
. 2012;7(4):e34878. Epub 2012 Apr 18. 2. Tinnitus: Distinguishing between Subjectively Perceived Loudness and Tinnitus-Related Distress. Wallhäusser-Franke E, Brade J, Balkenhol T, D’Amelio R, Seegmüller A, Delb W.
. 2012;7(4):e34583. Epub 2012 Apr 18. 3. Temporary Suppression of Tinnitus by Modulated Sounds. Reavis KM, Rothholtz VS, Tang Q, Carroll JA, Djalilian H, Zeng FG. 4. Tinnitus: the dark side of the auditory cortex plasticity. Pantev C, Okamoto H, Teismann H.
. 2012 Apr;1252(1):253-8. doi: 10.1111/j.1749-6632.2012.06452.x. 5. Noise exposure and auditory effects on preschool personnel. Sjödin F, Kjellberg A, Knutsson A, Landström U, Lindberg L.